This tutorial explains how to generate a CSR Code and how to install an SSL Certificate on Microsoft Forefront TMG Server. If you’ve already generated your CSR and received the certificate files from your CA, you can skip the first part, and head straight to the installation guidelines. As a bonus, we’ve also included a few interesting facts about Microsoft Forefront TMG, as well as useful tips on where to get the best SSL Certificate file for your TMG server. Use the anchor links below to jump between different sections of this tutorial. Where to buy the best SSL Certificate for Microsoft TMG Server? You have several options when it comes to generating a CSR (Certificate Signing Request) on Microsoft Forefront TMG. How to generate a CSR Code in Microsoft IIS 7? How to generate a CSR Code in Microsoft IIS 8 & 8.5? Alternatively, you can use our CSR Generator Tool to create your CSR code and private key. Once you’ve created your CSR code and successfully applied for an SSL Certificate, you can continue with the installation steps. Double check the information on the Certificate Summary page. 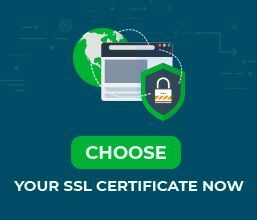 Make sure you’re processing the correct SSL cert. Click Next, then Finish. In the Certificate Path tab, there should be a hierarchical relationship between your primary SSL certificate and the certification authority (CA), and a message that says This certificate is OK.
Congratulations, you’ve successfully installed an SSL Certificate on Microsoft Forefront TMG. After you install an SSL Certificate on Microsoft Forefront TMG, the first thing you should do is scan your new SSL installation for potential errors. We recommend using these highly efficient SSL Tools, designed to give you instant reports on your SSL Certificate. Microsoft Forefront Threat Management Gateway (Forefront TMG), formerly known as Microsoft Internet Security and Acceleration Server (ISA Server) is a firewall, router, anti-virus program, web cache and VPN server from Microsoft Corporation. It runs on the Windows Server operating system on x86-64 platforms. Microsoft Forefront TMG was initially developed in Microsoft Proxy server under the codename “Catapult” in 1997. In 2000, Microsoft launched Microsoft Internet Security and Acceleration Server 2000 (ISA Server 2000), the first product to use the 10-year support lifecycle. Microsoft Forefront Threat Management Gateway 2010 (Forefront TMG 2010) is a continuation of ISA Server 2006. It provides improved web security, native 64-bit support, malware protection, and BITS caching. The last stable release of Microsoft Forefront TMG was on 10 October 2011. The product is no longer available for purchase as of 1 December 2012. Mainstream support ended on 14 April 2015, while extended support will last till 14 April 2020. Where to buy the best SSL Certificate for Microsoft Forefront TMG? 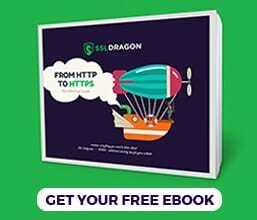 The best place to buy an SSL Certificate for Microsoft Forefront TMG is from a reputable SSL vendor such as SSL Dragon. Our prices are the most competitive on the market, but there are even more benefits. We offer great discounts and exclusive deals on all our SSL certificates, but above all, five-star customer support.